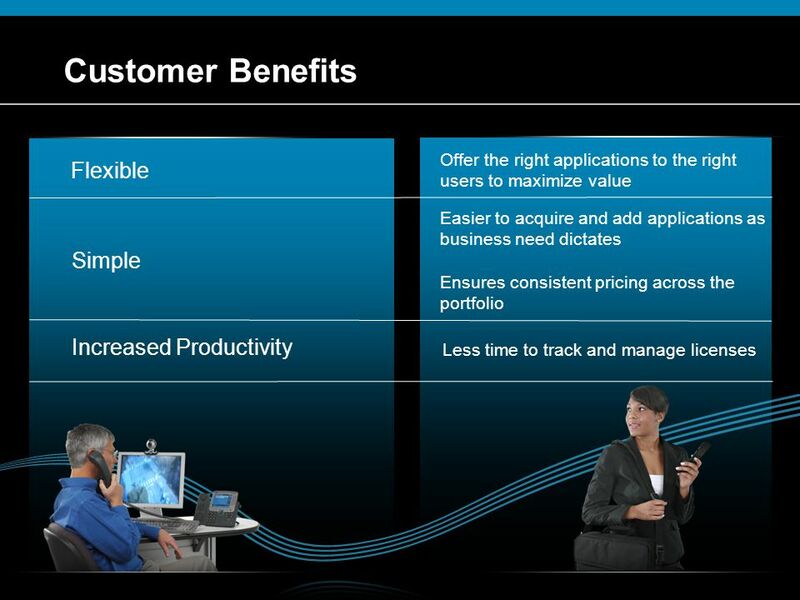 Offer the right applications to the right users to maximize value Flexible Easier to acquire and add applications as business need dictates Ensures consistent pricing across the portfolio Simple Increased Productivity Less time to track and manage licenses Flexible – offer the right applications to the right users to maximize investment. 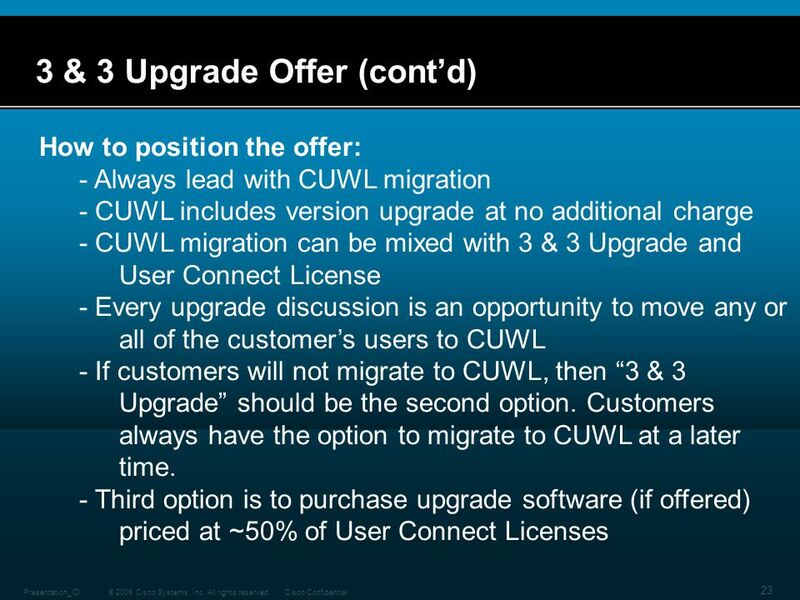 Customer feels like they will be able to use the applications they buy for their users. Increased productivity – takes away the time to understand product licensing making it easier and faster to track and manage licensing. 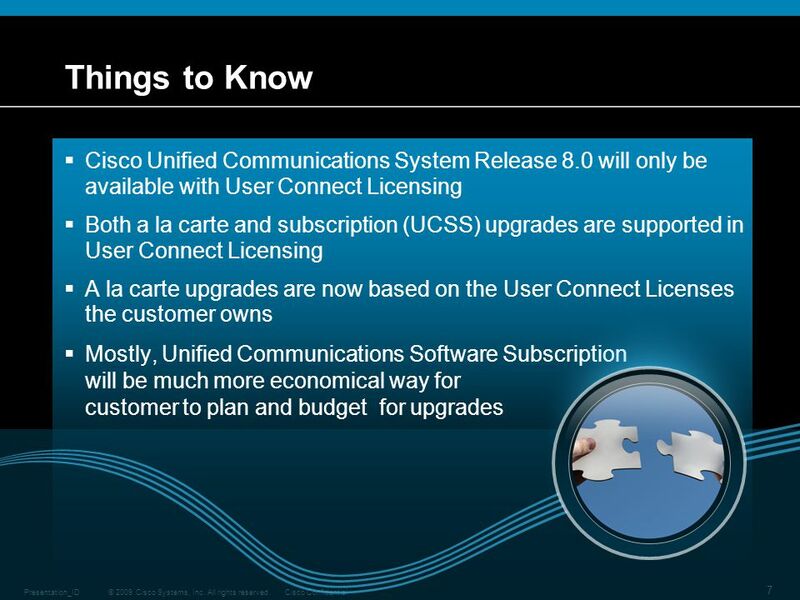 7 Things to Know Cisco Unified Communications System Release 8.0 will only be available with User Connect Licensing Both a la carte and subscription (UCSS) upgrades are supported in User Connect Licensing A la carte upgrades are now based on the User Connect Licenses the customer owns Mostly, Unified Communications Software Subscription will be much more economical way for customer to plan and budget for upgrades Previously, upgrades to several applications including Cisco Unified Communications Manager were based only on server licensing. 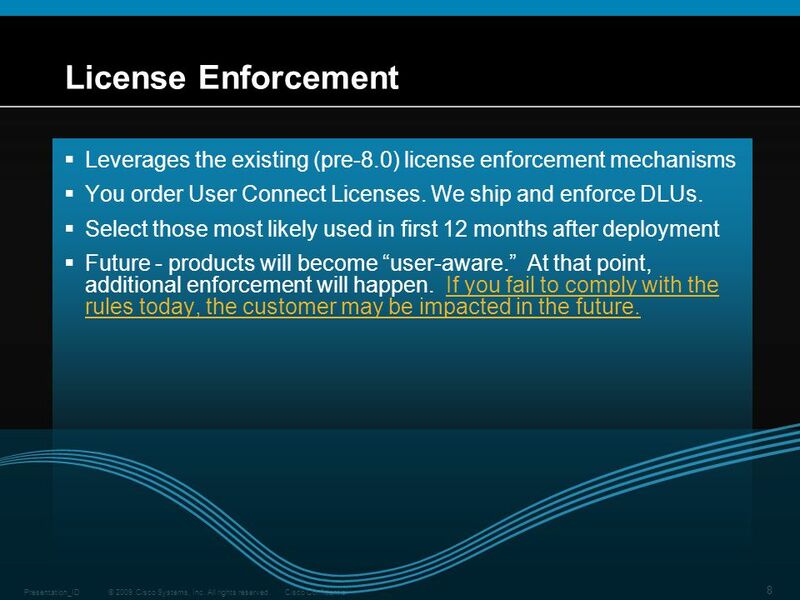 8 License Enforcement Leverages the existing (pre-8.0) license enforcement mechanisms You order User Connect Licenses. 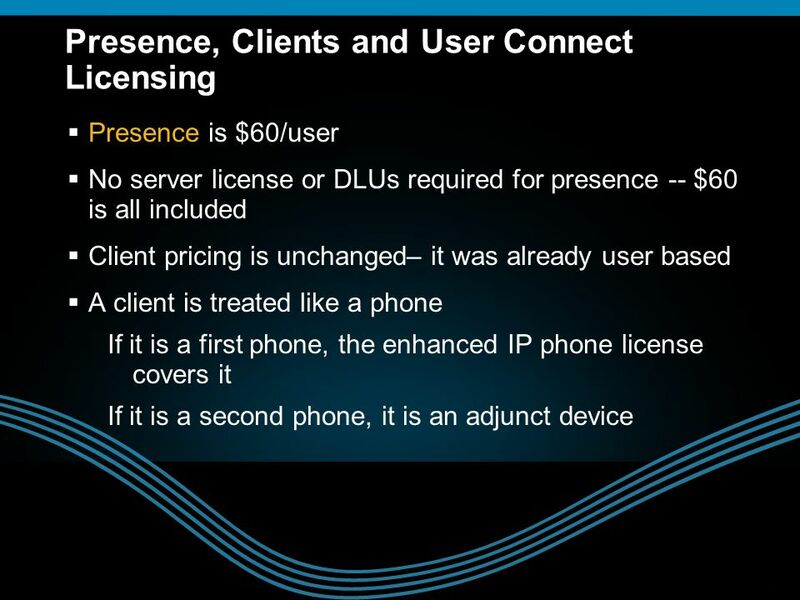 We ship and enforce DLUs. 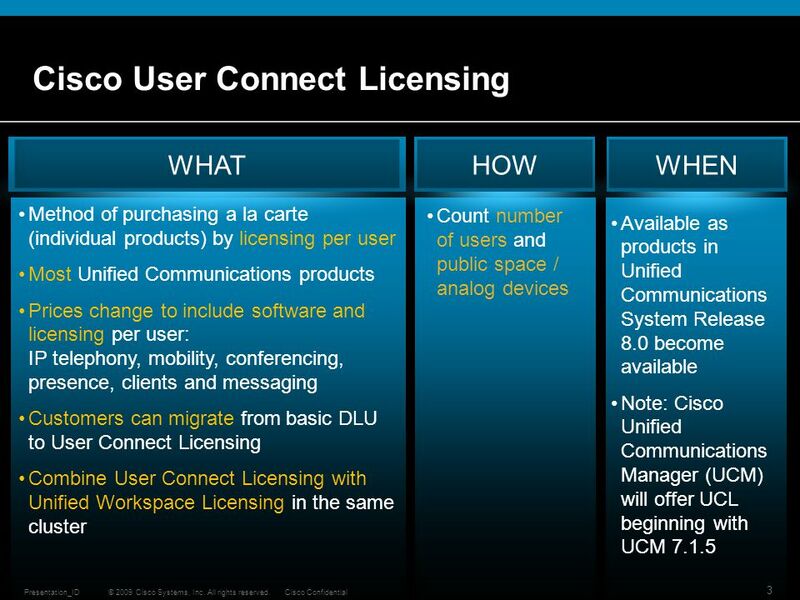 Select those most likely used in first 12 months after deployment Future - products will become “user-aware.” At that point, additional enforcement will happen. 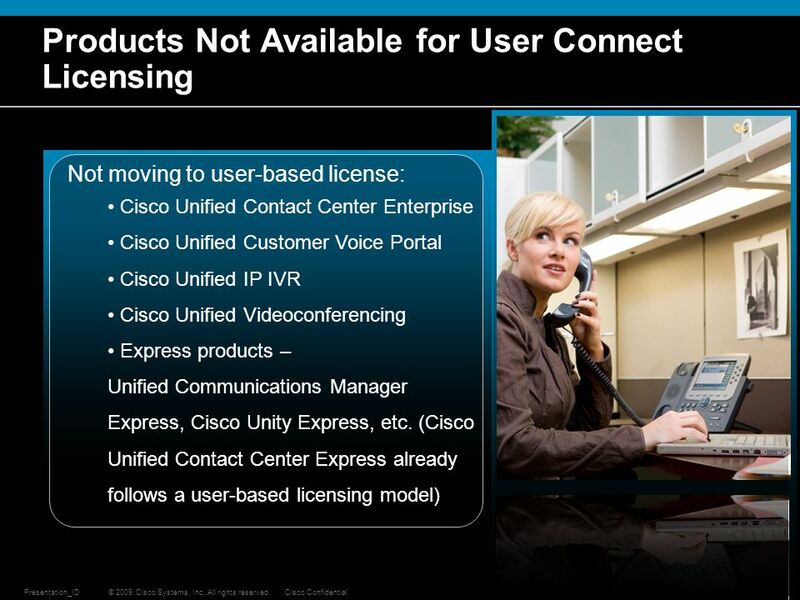 If you fail to comply with the rules today, the customer may be impacted in the future. 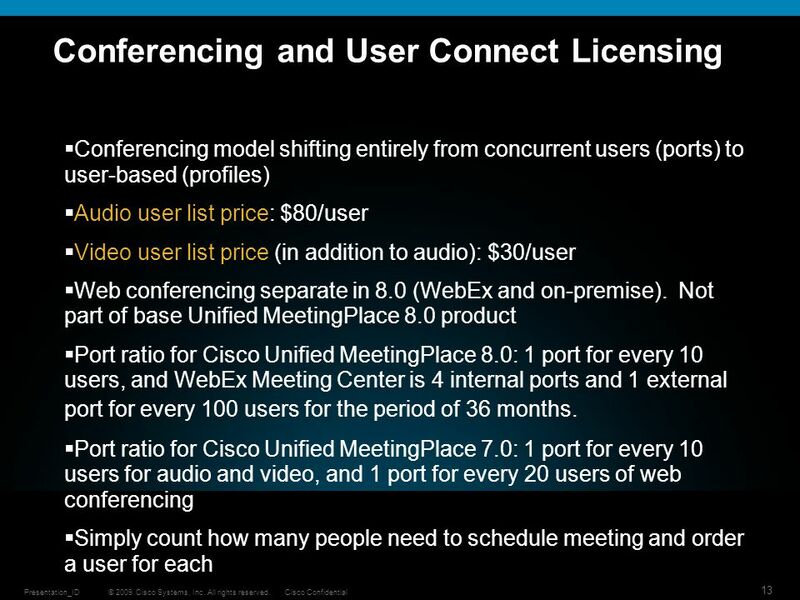 Cisco WebEx Meeting Center (external) and Cisco WebEx Node for MCS (internal) Professional Edition 4 internal and 1 external port per 100 users for 3-years license term Cisco Unified Communications Manager, Session Management Edition 1 session for every 5 users Unified MeetingPlace 7.0: 1 port for every 10 users for audio and video, and 1 port for every 20 users of web conferencing. 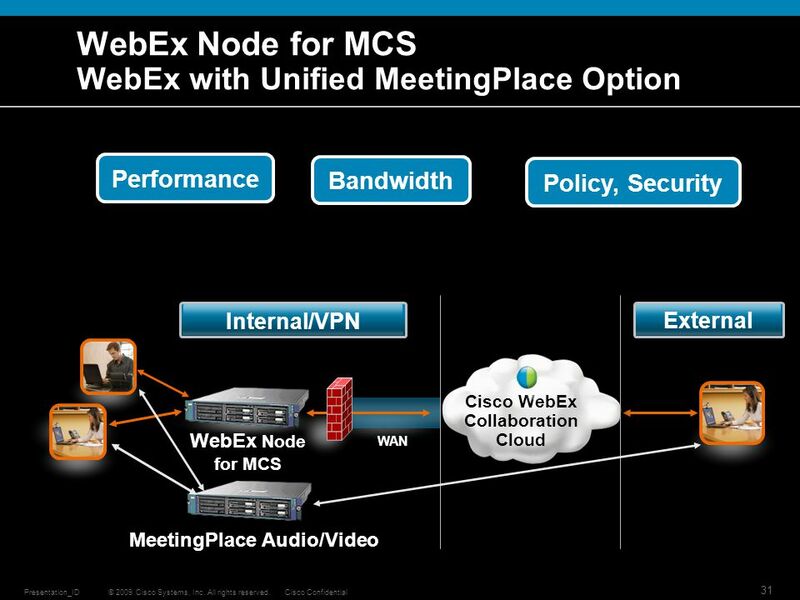 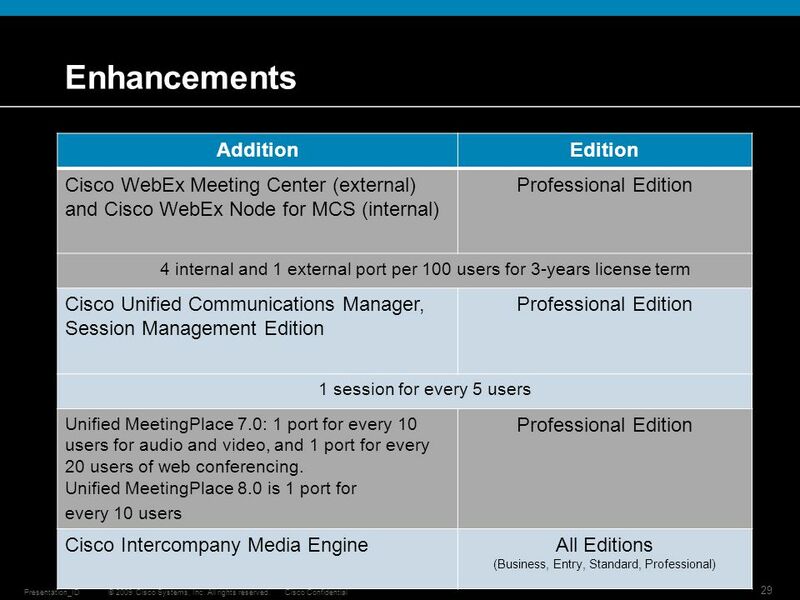 Unified MeetingPlace 8.0 is 1 port for every 10 users Cisco Intercompany Media Engine All Editions (Business, Entry, Standard, Professional) Cisco WebEx Meeting Center and Cisco WebEx Node for MCS Customers have the option to add more ports, if needed Session Management Edition Includes one session of Cisco Unified Communications Manager, Session Management Edition for every 5 users. 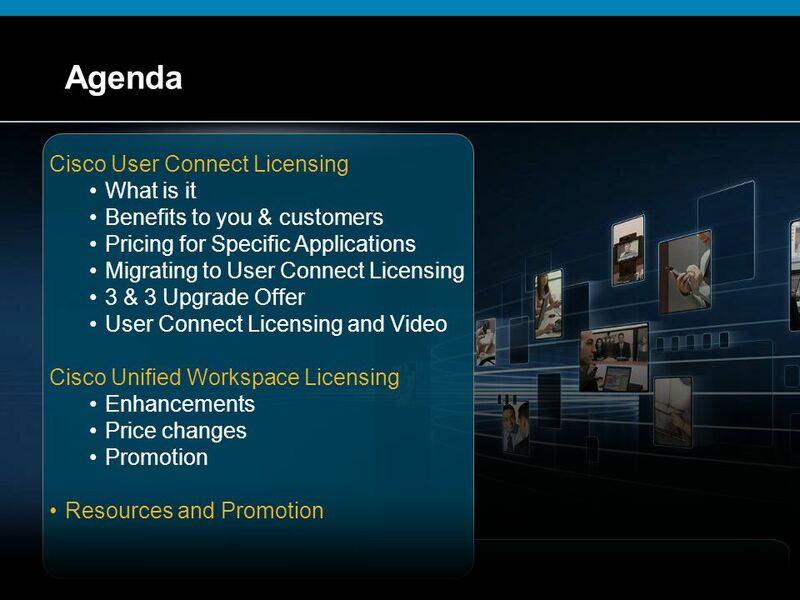 Session Management Edition delivers TCO savings today on a platform that routes and controls all communications traffic. 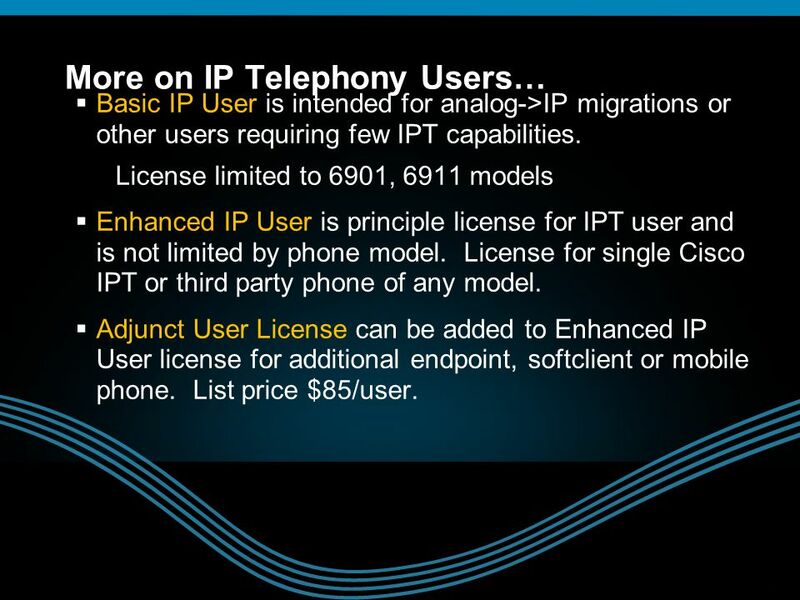 Interconnect your PBXs together Interconnect those PBXs to SIP Trunking. 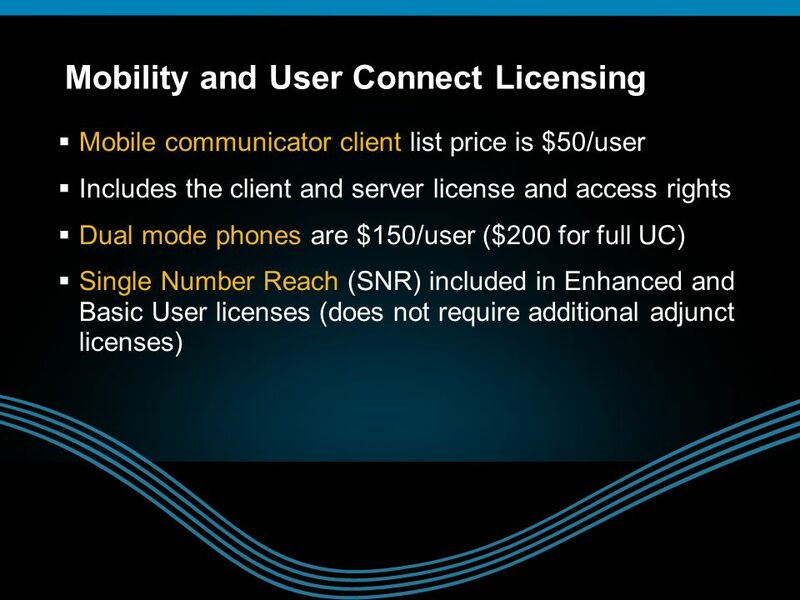 Interconnect those PBXs to the Mobility, Recording services. 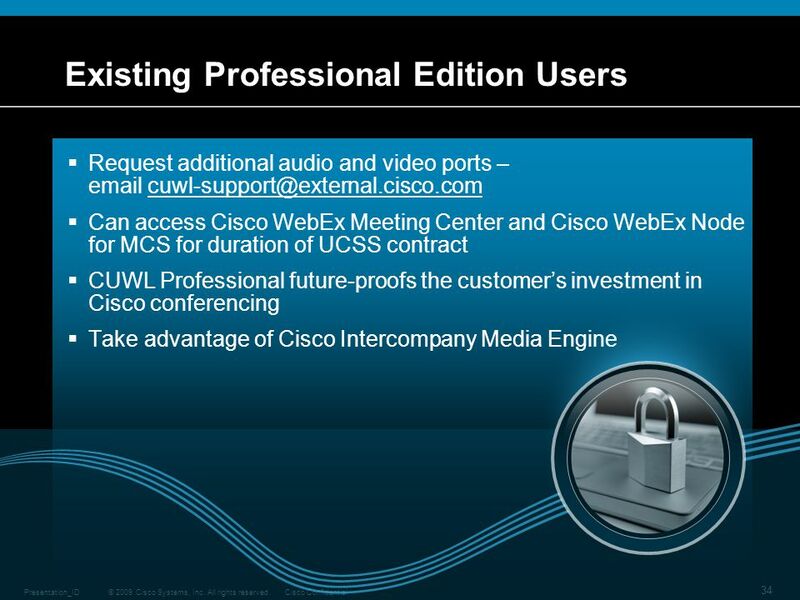 Interconnect those PBXs to the other businesses (Cisco IME) Interconnect those PBXs to Social Networking & Web Apps (Web2.0 & ECP) Get as many video and audio ports in CUWL Professional Edition. 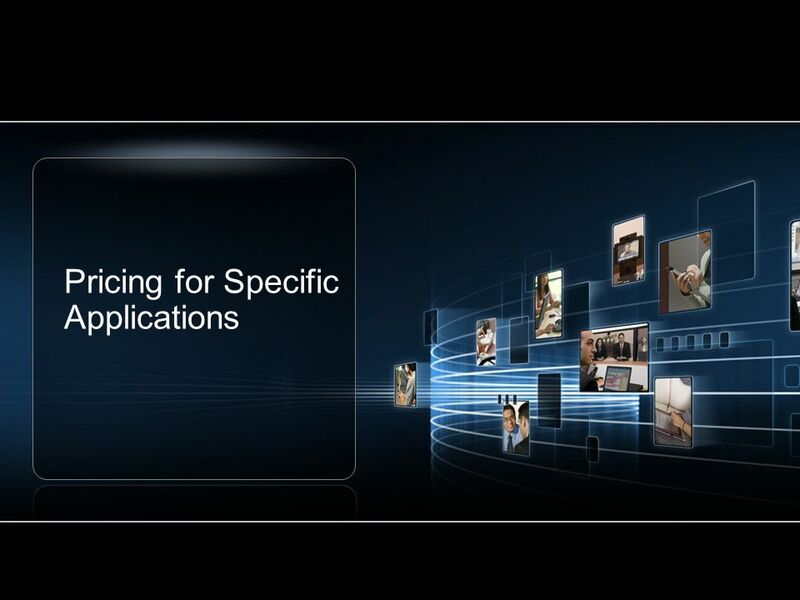 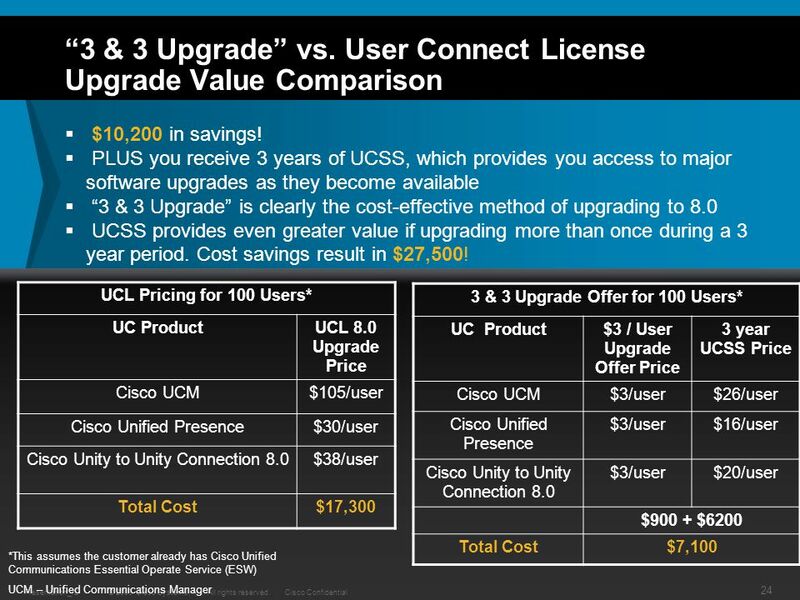 Consistent pricing across applications for Essential Operate Service Cisco Intercompany Media Engine All existing CUWL customers get access to this capability at no additional charge Provides a revolutionary way for organizations to extend their Cisco Unified Communications experience to their business partners or customers, delivering feature-rich interoperability via boundaryless collaboration as well as cost savings. 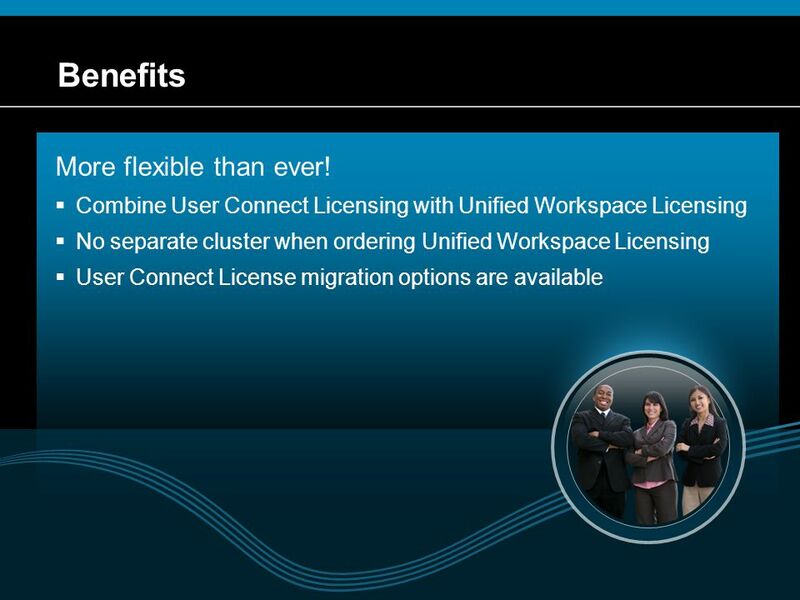 32 Benefits More flexible than ever! 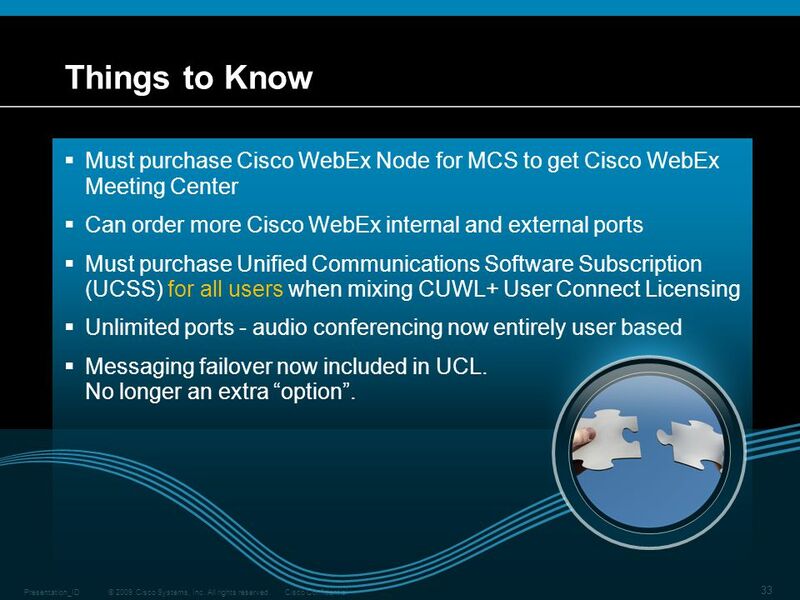 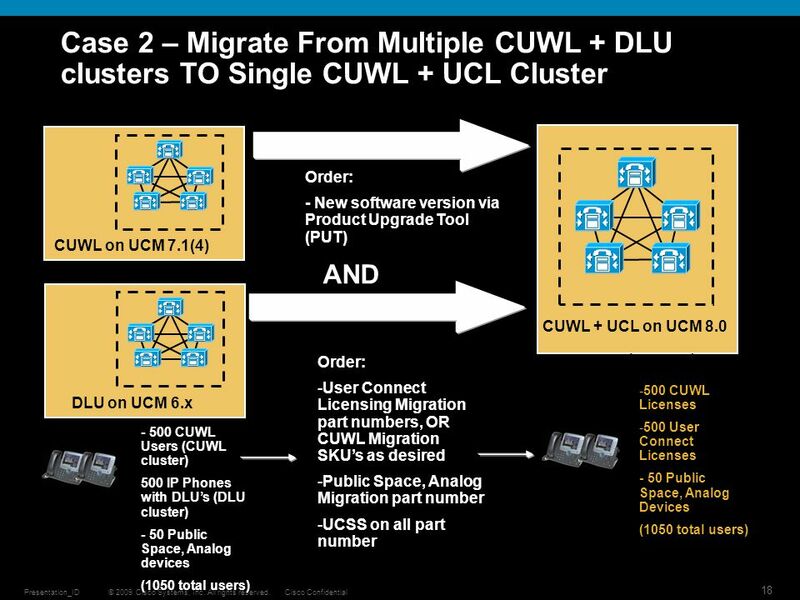 33 Things to Know Must purchase Cisco WebEx Node for MCS to get Cisco WebEx Meeting Center Can order more Cisco WebEx internal and external ports Must purchase Unified Communications Software Subscription (UCSS) for all users when mixing CUWL+ User Connect Licensing Unlimited ports - audio conferencing now entirely user based Messaging failover now included in UCL. 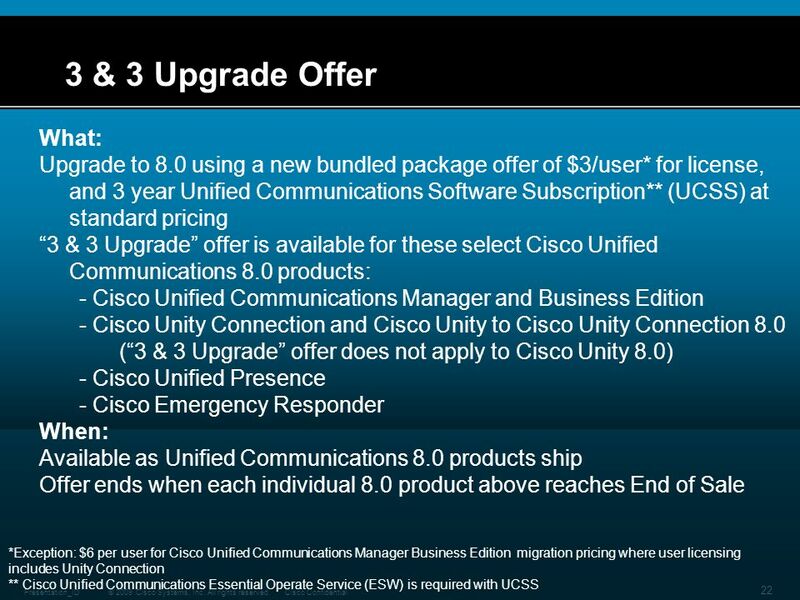 No longer an extra “option”. 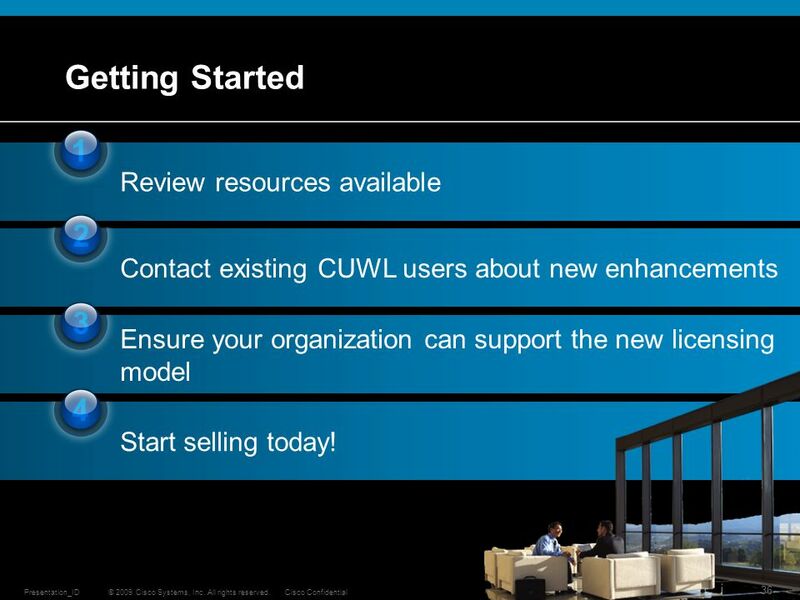 Contact existing CUWL users about new enhancements Ensure your organization can support the new licensing model To continue to evolve your practice, we recommend the following next steps: Use the sales and technical resources, websites, tools, demos, available to not only learn about the changes but use the information to have conversations with new customers. 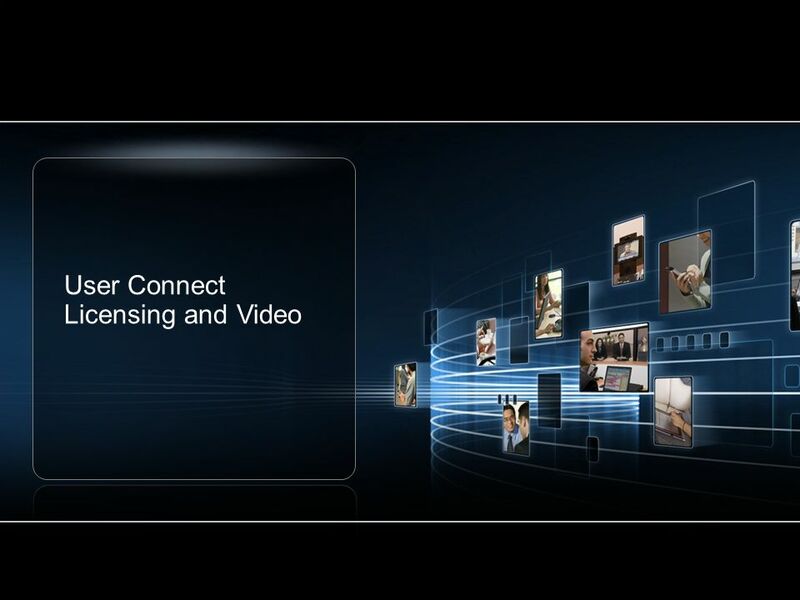 Contact your existing customers to let them know about the new functionality they now receive so they can best deliver these additional productivity features to their customers. 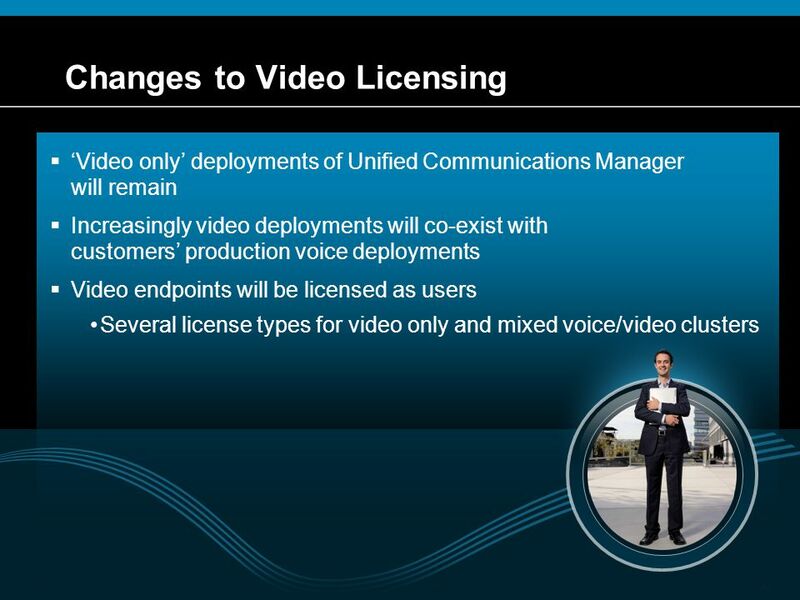 Ensure your organization can support the new licensing model. 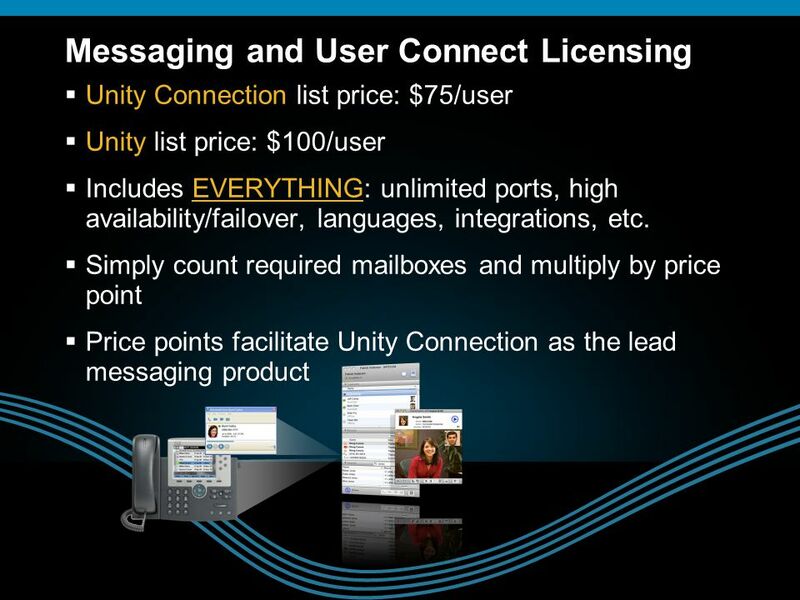 Sales cycle Deployment Management Support and Migration Start selling more UC today! 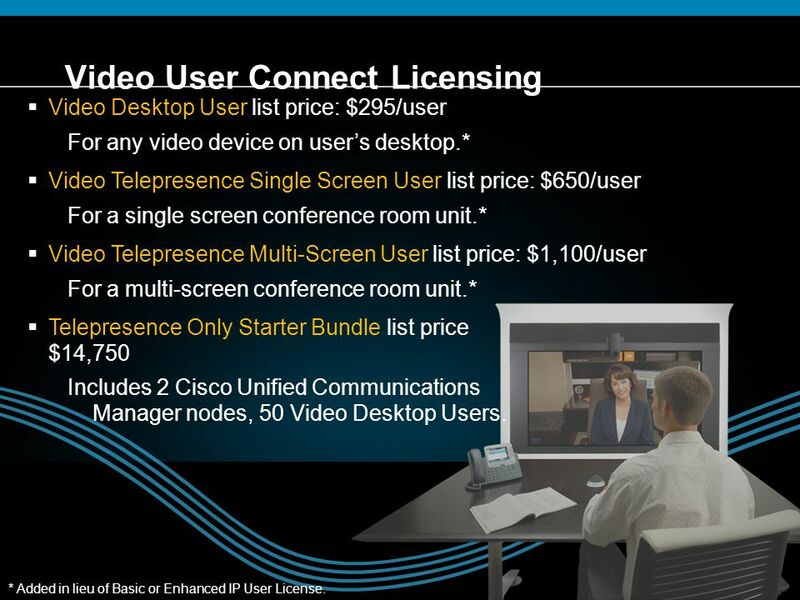 Start selling today! 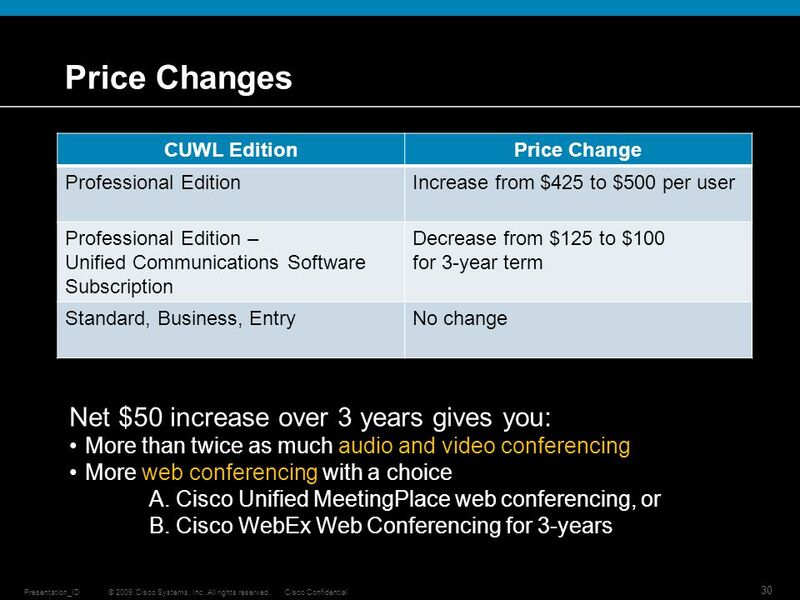 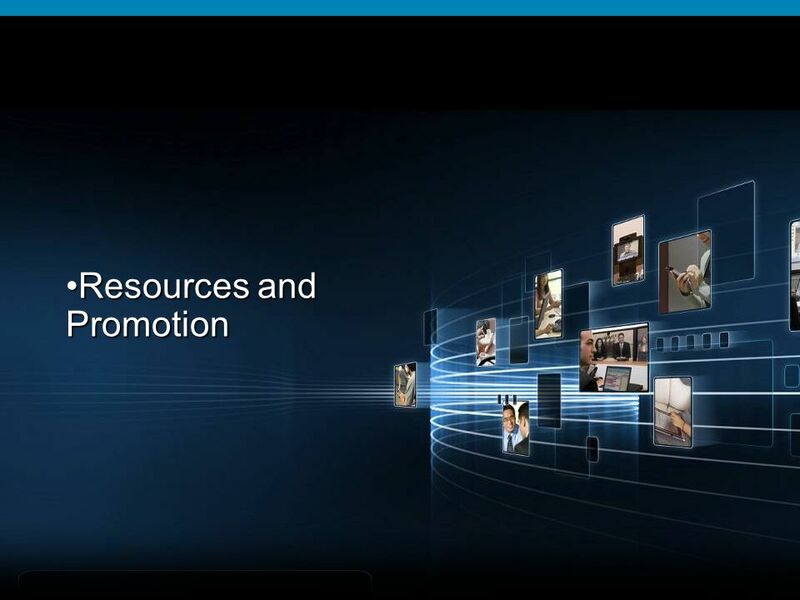 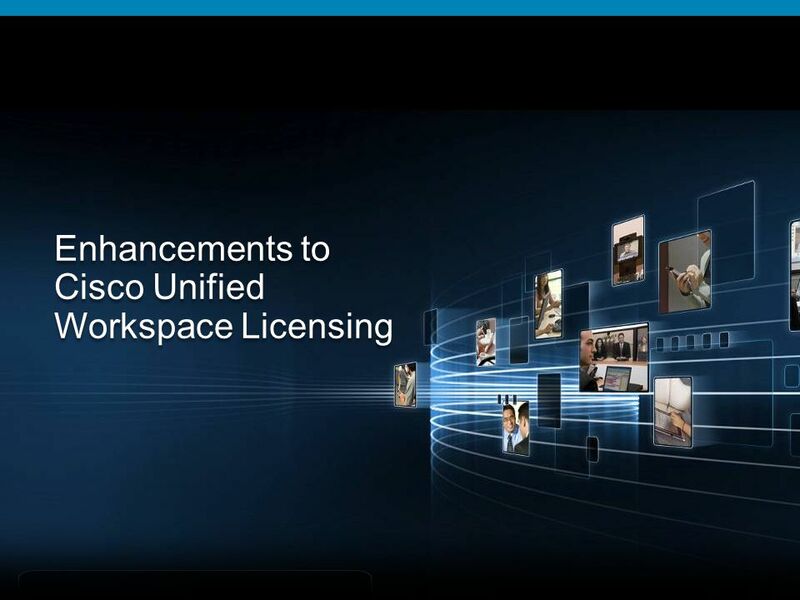 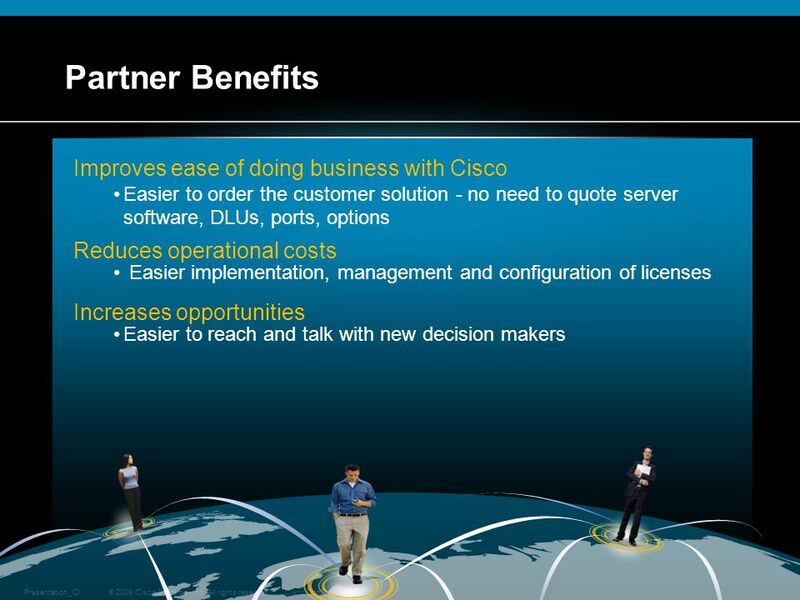 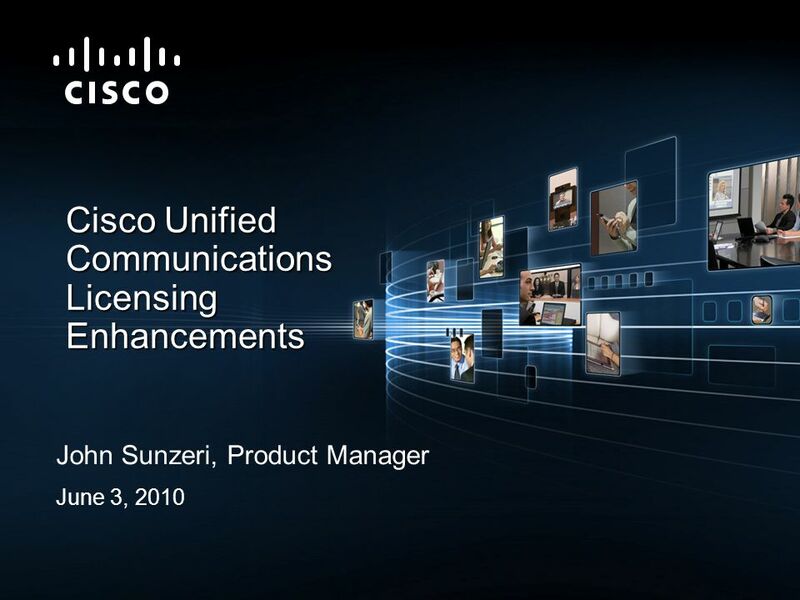 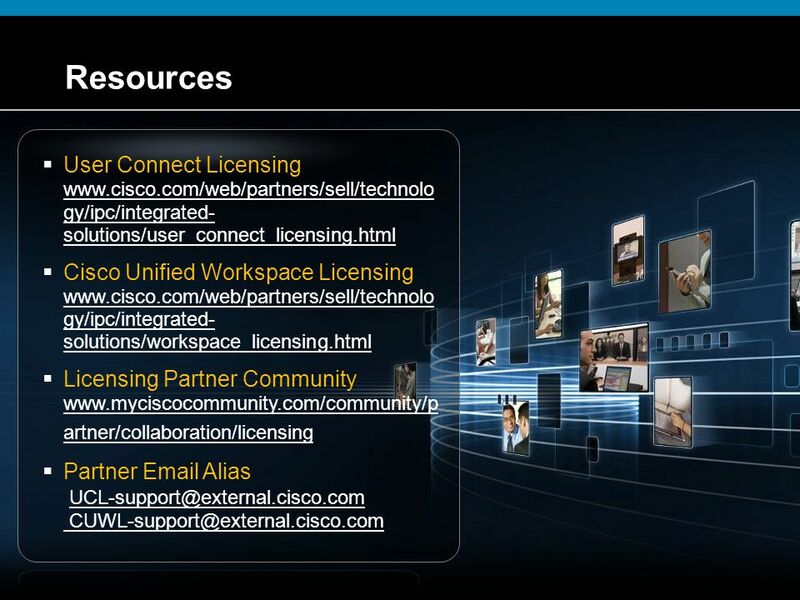 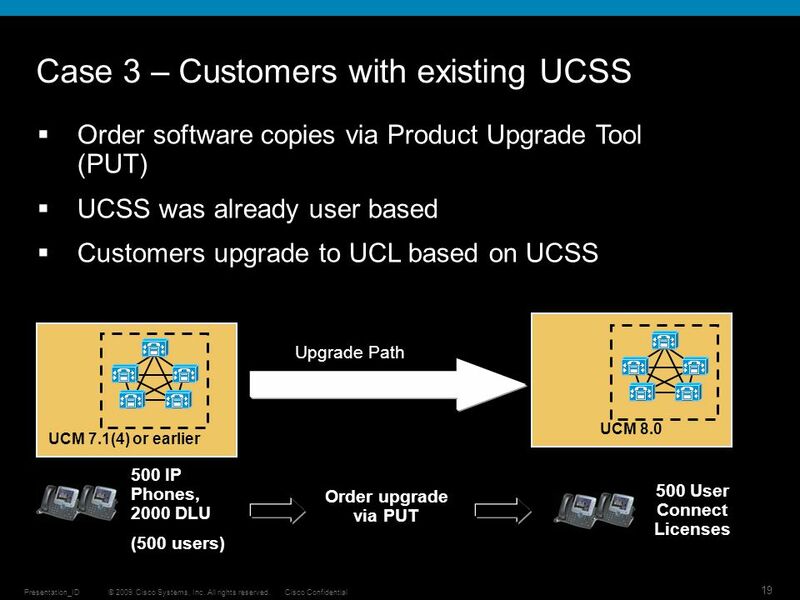 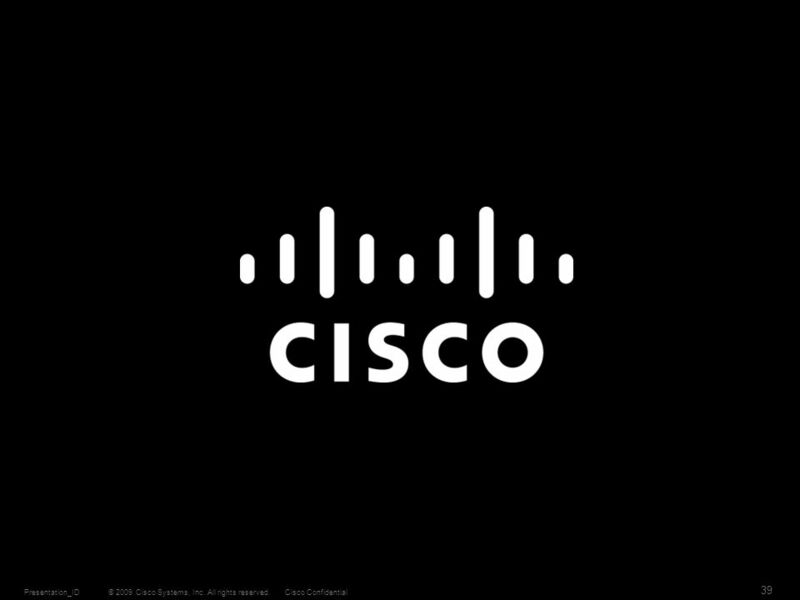 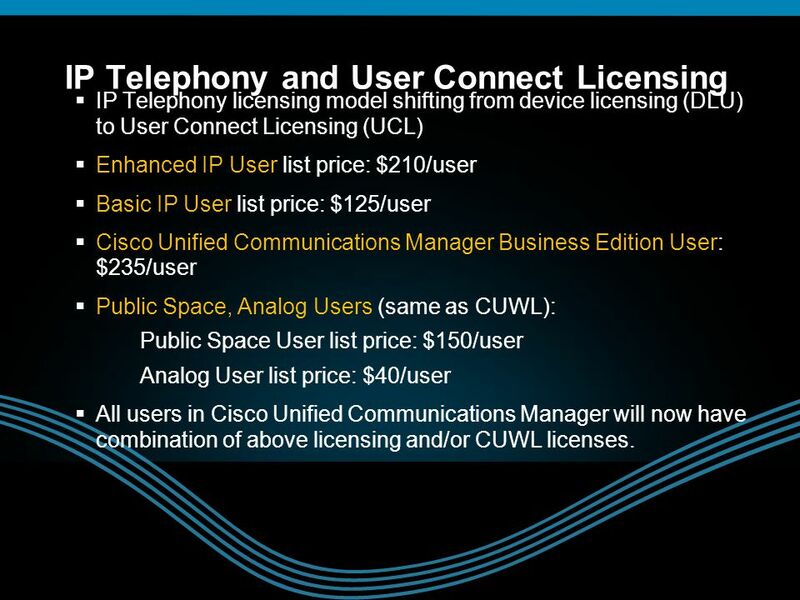 Download ppt "Cisco Unified Communications Licensing Enhancements"
© 2007 Cisco Systems, Inc. All rights reserved.Cisco Confidential C Cisco Unified Communications 9 and 3 Upgrade Offer.